One of my absolute favorite things about Purdue’s College of Agriculture is its tight-knit, family atmosphere. that it has. From classes to social events like the Ag Council hog roast and hot chocolate social, everybody seems to know everybody and it is easy to feel at home and included even at a large university. One of the reasons for this close bond is the amount of extracurricular and group activities available to students within the College of Agriculture. It is easy to become very involved, and yet only be involved with students in the College of Ag. What is the problem with this? Well, unfortunately, so many throughout Purdue know very little about the College of Agriculture and agriculture in general, which makes so many ag students angry. I don’t know how many times I’ve heard ag students say things like, “How have they never seen a combine?” or “Why don’t they understand where their food comes from?” When the real question should be, “How can we help them learn more about agriculture, a subject that we are so passionate about. If someone didn’t grow up on a farm and live that lifestyle day after day, and if they’ve never really had a reason to investigate where exactly their food came from, it would be hard for them to know about it. How can ag students answer these questions while promoting agriculture? Easily: Cross the street. I understand State Street is a bit busy, but crossing over to the North side of campus would help immensely. If all of the students who are involved in various clubs within the College of Agriculture just joined one university-wide organization, they would be able to teach and promote agriculture so much easier and efficiently than by sitting with other ag students in an agriculture-oriented organization. Personally, I’ve been highly involved with Purdue’s Office of Admissions for the past 3 and a half years. I finally realized the major distance between ag students and non ag students when I was giving a campus tour with a fellow tour guide a couple years ago. We were in Stewart Center introducing ourselves to a large group of admitted and prospective students. The other tour guide (who was very involved in various activities and organizations on Purdue’s campus, yet not in the College of Ag) and I stated our names, hometowns and our involvement on campus, as usual, and just as we were about to split the group in half to start the tours, he said, “This is about as far South as you will ever go on campus besides Krannert and Lily maybe.” I was stunned. Was he serious? I truly had no words I was so taken aback by his statement, because I have had so many classes in building further south that Stewart Center. So, I gathered my half of the group and went on my way. While chatting with my tour group, I asked what the prospective students hoped to study if they attended Purdue and three of them said Animal Sciences. Wow, well, needless to say, I informed them of the South side of campus and that they would have many classes past Stewart Center. 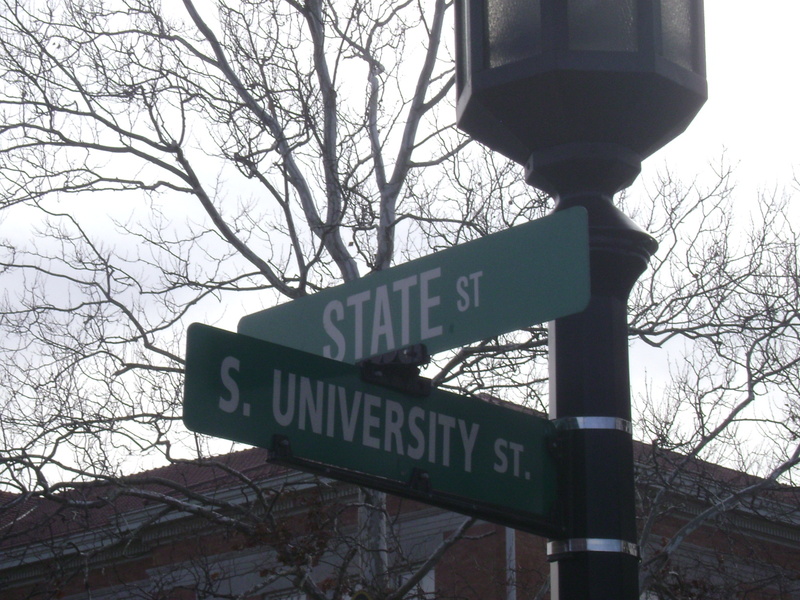 So, not only do College of Ag students need to cross the street, but the university in whole needs to realize there is another side of State Street and that campus does not end at Stewart Center. I’m not exactly sure what other modes of action it will take, but if each side gives a little, I think Purdue University will be greater as a whole if it begins to acknowledge the South side, and if College of Ag students begin crossing the street to get involved with a different group of students. Doing this would combine my love of Purdue’s large campus feel with the close-knit family feel of the College of Agriculture, and promoting agriculture while doing so. Jeanne Gibson is a senior in agricultural communication with a minor in food and agribusiness management.